Park Bench Philosopher Restoring Coastal Headland Ecosystems: Grants Continue to Eradicate the Toll of the Past and Encourage the Return of Habitat Sunday, 25 March 2018 - 8:30am to 12:30pm at Mona Vale Basin. 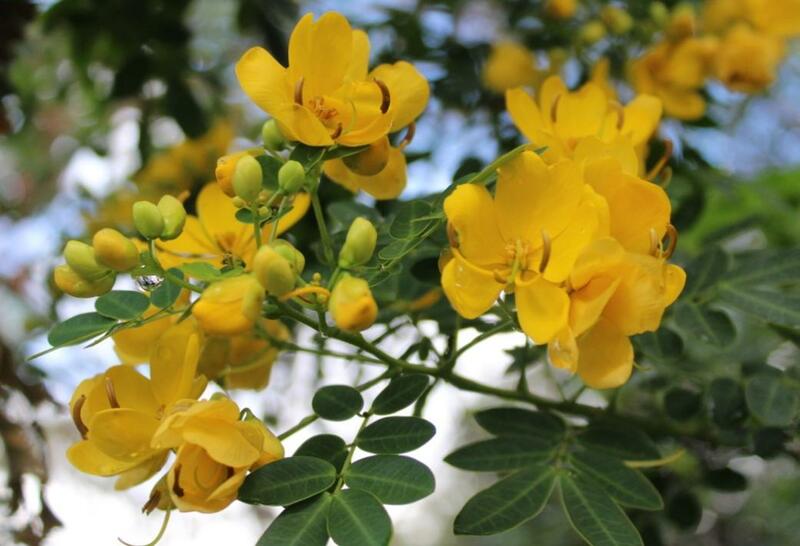 Free native plants are on offer to local residents. 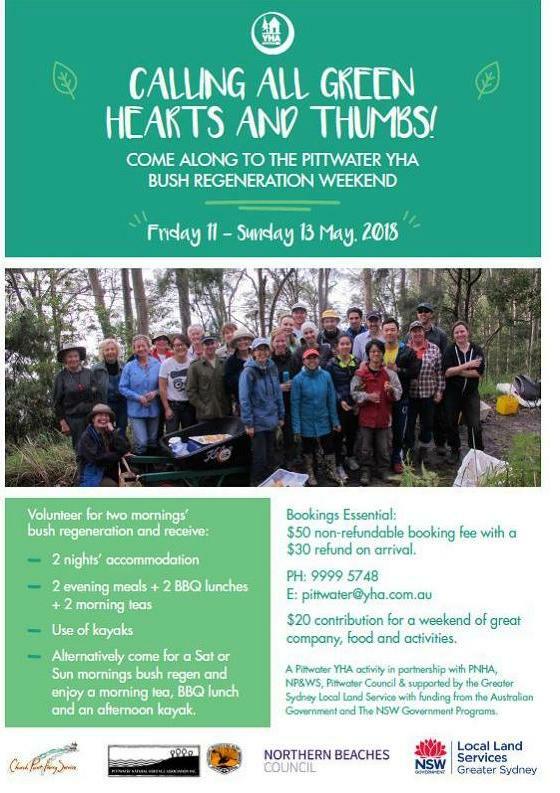 Participants are welcome to help out with planting and weeding on the day, supporting the restoration works by the Mona Vale Basin Bushcare volunteers. Learn about the impact of noise on sea lifeand how it effects us all in the long term. Seismic testing for gas is about to commence off our coastline here and its development could have profound consequences. This is an extremely important topic, the science of which is only just becoming known. This is especially relevant as Living Ocean has been at the forefront of raising awareness regarding seismic testing scheduled just offshore here in the SEP 11 region off the northern beaches up to Newcastle. Knowledge is the key to change. "We value a Living Ocean"
Please indicate your intention to attend here so we can accommodate. Sonic Sea ( http://www.sonicsea.org ) is a 60-minute documentary about the impact of industrial and military ocean noise on whales and other marine life. It tells the story of a former U.S. Navy officer who solved a tragic mystery and changed forever the way we understand our impact on the ocean. The film is narrated by Rachel McAdams and features Sting, in addition to the renowned ocean experts Dr. Sylvia Earle, Dr. Paul Spong, Dr. Christopher Clark and Jean-Michel Cousteau. Sonic Sea was produced by the Natural Resources Defense Council (NRDC) and Imaginary Forces in association with the International Fund for Animal Welfare (IFAW) and Diamond Docs. National Offshore Petroleum Safety and Environmental Management Authority (NOPSEMA) regulates all offshore areas in Commonwealth waters, which comprise those areas beyond the first three nautical miles of the territorial sea. This includes the Ashmore and Cartier offshore territories and offshore areas adjacent to all states and the Northern Territory. NOPSEMA also regulates all offshore areas in coastal waters where a state or territory has conferred regulatory powers and functions. In jurisdictions where powers to regulate are not conferred, regulatory responsibilities remain with the relevant state or territory. The problem of unwanted paint & packaging has been solved. Trade painters and householders are invited to dispose of unwanted paint and packaging responsibly at the following collection event. For more info on Paintback go to paintback.com.au. Paintback accepts up to 100 litres per visit, secured in containers of 20 litres or less. In the Grounds of Barrenjoey High School, via Tasman Road gates, North Avalon. Add some zest to your life at Avalon Community Garden. Hear amazing legends speak about their passion for the planet, for soil, for plastic free living, caring for the Oceans and much more. Indulge in the Garden’s Natural Food Café, open all day for lunch, organic produce, tea, coffee and cakes. Relax listening to some cool beats from a bevy of Avalon’s talented performers. For the kids there is craft & painting, music al entertainment, gardening and their own café! Neil Evers - Aboriginal elder of the Guringai people. Peter Rutherford - Eco House and Garden, Kimbriki. 11:30	Making Compost From Food Scraps workshop. Tim Seaton - Coastal Environment Centre / ACG. 12:00	No Plastic Please talk. Robbie Luscombe-Newman – Living Ocean. 12:30	Plastic Free Lifestyle film - Living Ocean. Luke Escombe - The Veggie Plot. 1:00	No more gladwrap on your sangers – make your own beeswax wrap workshop. Tim Seaton – The Coastal Environment Centre / ACG. 1:30	Make your own essential oil sunscreen workshop. 1:30	Make and retain good soil on steep sites using Hugelkulture method. The next step in the Avalon Preservation Association's Avalon Cultural Audit is to identify and list significant trees in the area. Roger Sayers has nominated the Spotted Gums in the reserve opposite Careel Bay Wharf. Please help us by contributing your pick of significant trees in the area so we can map them and enter into our database. Our new Avalon Preservation Association Noticeboard is finally installed on corner of Belle Property Building near Herforts Chemist Old Barrenjoey Rd Avalon Beach. Many thanks to Mark Griffin Belle Property for use of wall and Robert Adema for installation. A relaxing 2 to 3 hour afternoon paddle. No previous kayaking experience required, tuition given. BYO boat or a hire kayak can be arranged at cost. Start 10am at Terrey Hills and allow 3 hours and bring a screwdriver for some voluntary weeding near the end of the track. Start 9am - finish 1.30pm. This walk is a hidden gem. Also lovely scenic views and sometimes rare fauna. Plant ID as we go and a brief lunch break BYO. Carpool back. Permaculture Northern Beaches (PNB) is an active local group based on Sydney's Northern Beaches. Our parent body is Permaculture Sydney North. For anyone interested in Seed Saving, join our PNB seed saving afternoon at Bungan Edible Sanctuary. Every three months, we meet to exchange seeds, package up excess seeds for distributing at the PNB monthly meeting and share whatever knowledge we have about seeds, seed saving and what grows well in our area. This seed workshop will also include a garden tour around Bungun Edible Sanctuary which includes aquaculture, native bees, raised beds, chickens and a lot more. Bring along seeds to swap that you are pretty sure are open-pollinated (not hybrid) and have been sourced from your own garden, or from somewhere you know OR bring a plate of food or healthy drinks to share around the table. Learn how to make Eco-cleaning products such as dish washing liquid, householder cleaning spray, toilet cleaner, and furniture polish. We also make skin care products such as organic body moisturiser, essential oil perfumes and natural tooth powder. We are exposed to over 2,000 chemicals in our homes. For many of us this is the most exposure we will receive in our daily lives. This workshop is an easy and effective way to use non-chemical and non-petroleum based products. This is part of our Green Home initiative and our focus in February and March for a non-toxic lifestyle made possible by the community grant program from the Northern Beaches Council. WANT TO TAKE SUSTAINABLE LIVING TO THE NEXT LEVEL? This two-day permaculture course is a great overview of all aspects of permaculture - so as to enable you to take the next steps to incorporate this into your life. Over the weekend we will cover topics from organic gardening, sustainable housing, soil, site analysis for your garden/site, permaculture design, and zoning. You will receive an Introduction to Permaculture certificate and a copy of Bill Mollison's book " Introduction to Permaculture." The course will be held at the Coastal Environment Centre (CEC) on Pelican Walk, Narrabeen Lagoon. This will also allow for some practical exercises such as PLANTING A RAISED BED GARDENand NATIVE BEES. You will learn how to include permaculture design in your own home and garden. The course will be from 09:30 - 4:30 pm on both days. For bookings and information please contact - elle232@gmail.com with the subject heading ITP April 2018. Teachers for the weekend include Margaret Mossakowska, biologist, and Moss House Sustainability founder and Michelle Sheather, international ecologist, Permaculture Northern Beaches coordination team. Cost: $290 for permaculture group members, $330 for non-members, concessions available for students, pensioners, unemployed. BOOK NOW AS PLACE ARE LIMITED! This workshop on small space gardening is to help you make the most of the space you have. You will learn techniques such as stacking, hanging pots, lattices, using narrow niches and wall and fence spaces, portable grow bags, clever plant choices such as dwarf varieties and low maintenance plants that take up minimum space with a high yield. Gas company Advent Energy has approval to start seismic exploration for oil and gas off the coast from Newcastle and the Central Coast. Seismic exploration creates sonic underwater blasts that puts marine wildlife at risk, including migrating whales, and impacts productive local fishing grounds. If Advent Energy finds gas, the next step will be a push for an oil and gas field off the coast off Newcastle and the Central Coast. That's a proposition the local community will never accept. It’s not worth risking the health of the marine environment, our valuable fisheries resources and the local jobs it sustains for oil and gas exploration where the community will never accept a future gas field. I oppose seismic exploration off the coast of Newcastle and the Central Coast and call on your Government to take steps to cancel the existing exploration licence and ban future offshore oil and gas development in NSW. 1. Seismic exploration has been shown to impact on the hearing and navigation of whales and negatively impact on marine habitat and biodiversity. 2. Offshore oil and gas exploration and drilling puts at risk local fishing and tourism industries that rely on a healthy oceans and a vibrant marine and coastal environment. 3. An oil spill off the coast between Sydney and Newcastle could be catastrophic. The risk of oil and gas leaks and spills has been shown around Australia and the world. No matter the quality of regulations, accidents happen. The risk is unacceptable. 4. NSW should be pursuing clean renewable energy, not more polluting and risk fossil fuel. The Autumnal equinox, two moments in the year when the Sun is exactly above the Equator and day and night are of equal length; also, either of the two points in the sky where the ecliptic (the Sun’s annual pathway) and the celestial equator intersect. According to the astronomical definition of the seasons, the autumnal equinox also marks the beginning of autumn, which lasts until the winter solstice (December 21 or 22 in the Northern Hemisphere, June 20 or 21 in the Southern Hemisphere). - stratum subdivide the pedestrian bridge. Minister for Resources and Northern Australia Matt Canavan said that, through the Junior Minerals Exploration Incentive, the Government would provide $100 million over the next four years to allow greenfields exploration programs to distribute their tax losses as a credit to Australian resident shareholders. “The Government recognises the critical role that smaller, or ‘junior’, mineral explorers play in maintaining a healthy and vibrant resources sector, and we are committed to supporting this sector. “Greenfields mineral exploration underpins the Australian resource sector by finding new mineral deposits and ensuring a strong investment pipeline. Minister for Finance Mathias Cormann said the Treasury Laws Amendment (Junior Minerals Exploration Incentive) Bill 2017 amended the tax law to replace the former Exploration Development Incentive with the Junior Minerals Exploration Incentive. “This tax incentive will encourage junior explorers to take risks and to have a go at discovering the next large-scale mineral deposit,” Minister Cormann said. “We want to back these businesses. Minister Cormann said this new incentive entitled Australian resident investors in small minerals exploration companies to a refundable tax offset (or where the investor is a corporate tax entity, additional franking credits) if the company in which they have invested issued them an exploration credit. “The ability of an exploration company to give up their tax losses to distribute credits to investors as a tax offset will make investing in a junior explorer much more attractive,” he said. Minister Cormann said mineral exploration acted as a catalyst for new investment opportunities and job creation while supporting local businesses in regional communities across Australia. “This incentive builds on the exploration development incentive, which ceased in 2016-17, and has been developed based on industry feedback. Minister Canavan said that, despite good prospects, Australia had not had a world-class minerals discovery in more than 20 years. Any person may nominate a native species, ecological community or threatening process for listing under any of the categories specified in the Environment Protection and Biodiversity Conservation Act 1999 (EPBC Act). An overview of the nomination and listing process is provided in the nomination process flowchart. An invitation to nominate is extended by the Minister each year ahead of a new assessment cycle. Nominations submitted within the advertised invitation period and that satisfy the EPBC Regulations are forwarded to the Threatened Species Scientific Committee (the Committee), who prepare a Proposed Priority Assessment List (PPAL) of nominations for consideration by the Minister. The PPAL may include species that are nominated by states and territories through the common assessment method process. The Minister considers the PPAL developed by the Committee and may make changes. The Finalised Priority Assessment List (FPAL) is published on this website and nominators will be notified of the outcome. Nominations included in the FPAL are assessed by the Committee within the timeframe set by the Minister. The Committee will invite public and expert comment on these nominations during the assessment period. The Committee's advice is forwarded to the Minister, who decides whether the species, ecological community or key threatening process is eligible for listing under the EPBC Act. For a comprehensive understanding of the provisions relating to nominations and listing, please refer directly to the EPBC Act and Regulations. 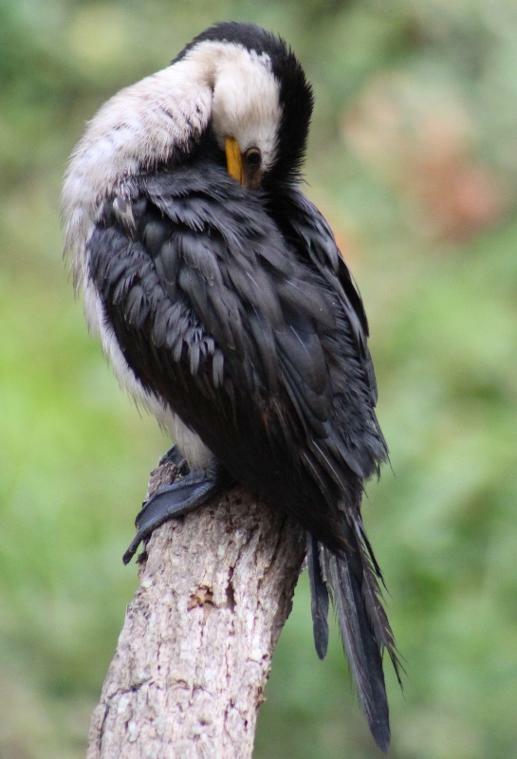 Nominations are now invited for threatened species, threatened ecological communities or key threatening processes to be considered for listing under the Environment Protection and Biodiversity Conservation Act 1999. Nominations may be submitted until 5 pm on Friday 30 March 2018. For further information regarding the call for nominations, emailEPBC.nominations@environment.gov.au. The priorities for assessment will be determined in July 2018, and the assessment period for the prioritised nominations will commence 1 October 2018. The Emissions Reduction Assurance Committee has commenced a review of the Native Forest from Managed Regrowth method. Method reviews are undertaken to ensure ERF methods continue to meet the scheme’s offsets integrity standards, including that emissions reductions credited through the scheme remain genuine and additional. The Committee invites written submissions from the public to inform its review of the Native Forest from Managed Regrowth method. The Committee has released a discussion paper to support the review. The discussion paper provides information on the methods, and issues submissions may wish to consider. The public consultation period commenced on 2 March 2018 and will run until 13 April 2018. Further information about making a submission is provided here. The Committee has also commenced a review of the Human-Induced Regeneration method. The discussion paper also refers to the review of this method. Revelations that Federal Senator Anne Ruston wrote to the National Parks Association of NSW (NPA) questioning our integrity during the recent Regional Forest Agreement (RFA) consultation process should concern anyone who takes seriously the importance of community input to policy. Instead of considering feedback from environment groups and their supporters to improve the environmental performance of logging, Senator Ruston instead dismissed concerns and recommitted to new RFAs. The Senator’s actions highlight that the current RFA process is not community consultation, it’s box-ticking for a pre-determined outcome. Senator Ruston’s extraordinary intervention saw NPA accused of deliberately misleading the Australian public on the performance of the RFAs. It’s an accusation that NPA rejects completely. In fact it is Senator Ruston who failed to provide evidence to back up the assertions in her letter, instead repeating industry assertions that don’t stand up to scrutiny. NPA CEO, Alix Goodwin, said: “As a non-government environment charity, whose financial support comes from members and donors, honesty, integrity and trust are our core values. “In order to foster trust, we pride ourselves on evidence-based advocacy. And that trust is why we’re proudly celebrating our 60th year of protecting the biodiversity of NSW. “The submission that so annoyed Senator Ruston was based on a review of RFAs that we presented to Senator Ruston’s office in April 2016. We received no feedback that day that any of the content was misleading or dishonest, nor have we since then. “We can only assume that the Senator’s letter was triggered by our efforts to drive submissions from the wider community on a matter of public importance; the RFAs cover 2 million hectares of public land in NSW. “We wrote a detailed, fully referenced, response to Senator Ruston and asked her to withdraw her accusations based on the evidence we presented. We received no response. “In order to protect our reputation, we were left with little choice but to release the letter to the media to give us a platform upon which to publicly reject the Senator’s assertions. Lock the Gate Alliance and Farmers for Climate Action are marking World Water Day by launching a regional “Our Water, Our Lifeblood” speaking tour with farmers and water experts, highlighting the impacts of the Adani coal mine on Central Queensland’s water resources. A number of community groups will also deliver World Water Day cards and water lilies to the Premier and Ministers for Environment and Natural Resources and Mines, and to parliamentarians in Mackay and Townsville. The cards will have a message requesting protection of Queensland’s precious water and cancellation of Adani’s water licenses for surface water and groundwater. The Our Water, Our Lifeblood Regional Roadshow features public forums in Rockhampton, Mackay and Townsville on the 11th, 12th and 13th of April respectively. Supporters of the campaign will be invited to sign a new pledge calling for cancellation of all Adani’s water licences. A referenced background paper about the risks Adani’s mine presents to water security is available for download here. Central Queensland grazier Angus Emmott said “Water is the lifeblood of Central Queensland. Farmers work hard to put food on the table for people across Australia and the world, but we need clean, reliable water. “It’s dry country out here and we can’t afford to throw our water supplies away on risky coal mining projects that we don’t need and don’t want. “The Adani mine is just one of nine coal mines proposed in the Galilee Basin which together may extract over 2,007 billion litres of groundwater – almost double the amount of water in Wivenhoe Dam. “The Queensland government is responsible for water security. If the government took this job seriously it would cancel Adani’s water licenses,” he said. Angus recently delivered 110,000 petition signatures to the Queensland Government calling for the Adani groundwater licence to be rescinded. Tom Crothers, former General Manager of Water Planning and Allocation with the Queensland Government, said “If built, it is estimated that Adani’s Carmichael coal mine would drain at least 270 billion litres of groundwater over the 60 year life of the project. “The mine puts at risk ancient springs and aquifers that form part of the Great Artesian Basin which are vital in times of drought. “The Adani mine will leave behind devastating hazards for Queenslanders – six unfilled coal pits that will drain millions of litres of groundwater every year, forever. “Our politicians need to think very carefully about the legacy they want to leave Queensland. “They should not let mining companies do what they like with our most precious resource at the expense of clean and green agricultural production which will still be operating long after the miners have left,” he said. Coastal cities worldwide would face a reduced threat from sea level rise if society reduced greenhouse gas emissions, with especially significant benefits for New York and other U.S. East Coast cities, new research indicates. Hu and his co-author, NCAR scientist Susan Bates, caution that the modeling study presents an incomplete picture, because it does not include runoff from melting ice sheets and glaciers -- two factors that scientists are just now incorporating into computer models. Instead, it simulates the influence of climate change on variations in sea level worldwide to reveal which coastlines will benefit most from emission reductions associated with the additional heat absorbed by the ocean. The “Ag Bag” – The One Showbag That Will Make You Feel Good!! Every year it is hot property and this year is no different – The “Ag Bag” goes on sale at the Sydney Royal Easter Show, every cent raised being returned to rural and regional NSW in the way of community projects. The Ag Bag is proudly the invention of the Royal Agricultural Society of NSW Foundation or the RASF, the charitable arm of the not for profit RAS of NSW. At just $20 with a value of more than $60, the Ag Bag is a showbag celebrating Australian agriculture and offers a range of products donated by Australian companies. Across two days this month a dedicated team of volunteers packed 3500 bags ahead of the Sydney Royal Easter Show beginning this Friday, March 23. “Everyone loves a Showbag, but taking home an Ag Bag leaves you knowing your well spent $20 will be directed entirely to community projects in rural and regional New South Wales,” said RAS Foundation Manager Cecilia Logan. “It’s a feel good Showbag and we want to see every bag sold,” she said. This Easter Show the RASF will again sell the Ag Bag from a location outside the iconic CWA Tea Room in the Home and Lifestyle Pavilion. Dungog High School - Farmbot - STEM in Agriculture - $8450. Kyogle Pony Club - Fencing for Kyogle Showground Multipurpose Area - $12,624. Burren Junction Hall Committee – Restoration of Supper Room at Burren Junction Hall - $25,000. Coonabarabran Pastoral Agricultural, Industrial and Horticultural Association - Cattle and Horse Pavilion for Coonabarabran Showground - $25,000. Walgett Jockey Club – Transformation of Gordon Pavilion Community Hall - $25,000. This weed replaces native vegetation and establishes in a wide range of native plant communities, including coastal heath and scrubland, hind dunes and riparian corridors. The large seed pods are eaten by birds and other animals which spreads the weed further. Currently flowering - please pull out and get rid of if you have in your garden or join a local Bushcare Group to help Pittwater rid itself of this weed. 1. Modification to the annual product despatch limits and associated truck limits. 2. Modification to the hours of operations for product loading and despatch. 4. Modification to the final extent of the overburden emplacement. See included Statement of Environmental Effects for more details. The Mother of Ducks Lagoon Nature Reserve Draft Plan of Management is now available for review and comment. Public exhibition of the draft plan provides an important opportunity for members of the community to have a say in the future management of Mother of Ducks Lagoon Nature Reserve. The draft plan of management is on public exhibition until 18 June 2018 and anyone can review the plan and provide comments. The Queens Lake Nature Reserve and Queens Lake State Conservation Area Draft Plan of Management is available for public review and comment. The exhibition of the draft plan provides an opportunity for members of the community to have a say in future management directions for the park. Submissions must be received by 9 April 2018. The Yanga National Park, Yanga State Conservation Area and Yanga Nature Reserve Draft Plan of Management is available for public review and comment. The exhibition of the draft plan provides an important opportunity for members of the community to have a say in future management directions for the park. Submissions must be received by 23 April 2018. The Toorale National Park and Toorale State Conservation Area Draft Plan of Management is available for public review and comment. The exhibition of the draft plan provides an important opportunity for members of the community to have a say in future management directions for the parks. Submissions must be received by 7 May 2018. The Bobbiwaa Parks Draft Plan of Management covers Bobbiwaa State Conservation Area, Couradda National Park, Killarney State Conservation Area and Moema National Parkand is now available for public review and comment. The exhibition of the draft plan provides an important opportunity for members of the community to have a say in future management directions for these parks. Submissions must be received by 21 May 2018.
an unforgettable projection across the sails of the Sydney Opera House, with artwork by North Coast NSW artist Jonathan Zawada(external link). Sydney Olympic Park Major Event Buses will run each day during the 12-day Sydney Royal Easter Show. Services start running between 07:00 and 07:30, depending on the route, each day. Services run every 15 to 25 minutes and more frequently during peak times and begin arriving at the precinct from around 08:45 each morning until 17:30 in the evening. Return services start running from Olympic Park at around 12:45, with the last bus on each route leaving the precinct at 23:00 each night of the Show. Note: scheduled wheelchair accessible buses will travel on each route. Find the closest stop to you using the Major Event Bus interactive map. All pre-purchased ShowLink tickets include return public transport for your trip to the Royal Easter Show on any one day. You can pre-purchase your ShowLink ticket on the Sydney Royal Easter Show website. ShowLink tickets are not sold at train stations, ferry wharves or on buses. Keep your ShowLink ticket for your return trip home as you will need to present your ShowLink ticket or have a valid ticket when travelling on public transport. ShowLink tickets are not available for purchase on-board transport services or at train stations. ShowLink tickets are only available at selected Woolworths outlets or online via Ticketmaster. Alternatively, you can purchase your ShowLink ticket at the Sydney Showground ticket booths located at the entry gates to the Show, however we strongly encourage you to pre-purchase your ticket where possible as there will be queues. Remember to keep your ShowLink ticket safe for your return trip home as you will need to present your ShowLink ticket or have a valid ticket when travelling on public transport. Single day, two-day or Twilight (after 4pm entry) ShowLink tickets are available. For more information on all the available ticketing options, seeTicket types. For more information on the terms and conditions that apply to ShowLink tickets on public transport, visit transportnsw.info. Please note there are no exchanges, refunds or cancellations on purchased ShowLink tickets. Little Hands on the Land is one of our favourite activations that combines education and entertainment. Taking kids through the crop-to-shop experience so little ones can understand the fundamentals of Agriculture in Australia, this is an activity that you don't want to miss! Little Hands on the Land is a free activity that takes children aged 2 - 10 on a journey through 10 stations including a chook shed, fruit orchard, tractor pull and more before they get to the farmer's market to trade their produce for farm dollars. Their hard-earned farm dollars can be spent at the last station - the supermarket. March 24 & 25 NSW Optimist State Championships. It will truly be a sight to see, 200 Optimists and their helms on Pittwater during one weekend. Run by Royal Prince Alfred Sailing Club the main fleet will be in the North whilst the Green Fleet will be on the south course. Six BYRA Juniors will be taking part in the Green fleet. Susie Lawson our Registrar and Will Doyle have been organising for some weeks now. Their boats will be towed over to RPA and left overnight. A terrific experience and right on our doorstep! As it's a green fleet they are allowed some coaching and I hear that there may be a prominent National Champion Crew, BYRA member, doing some of it. They have all been equipped with a ' BYRA TEAM ' singlet and our best wishes and good luck to all of them. Friday 30 March to Monday 2 April. Entry closes 1 March 2018 for those wishing to order shirts. Monday 2 April is a reserve DAY for if the scheduled races have not been completed by Sunday. Saturday social function is a spit roast at BYRA being organized by the Association. The NS14 is an Australian designed sailing dinghy, intended for competitive family sailing. It has a simple rig, is light enough to be lifted from a trailer into the water by 3 persons of average strength, requires only reasonable fitness to sail, and is affordable by the private sailor. It wont be long now until our annual visit to Portuguese Beach between Longnose and the Basin. For new members it is a time when all three dinghy clubs, Avalon, RPA and BYRA, get together at the end of the racing season to mingle in day clothes without their wetsuits on.Some of us sail there, some take the club launches some even hike there! There are the inter-club sports challenges, the egg hurling/catching contest, the tug of war, the hessian sack race and of course the Lace Monitor spotting pastime. I'll give more details of times and transport nearer the date. 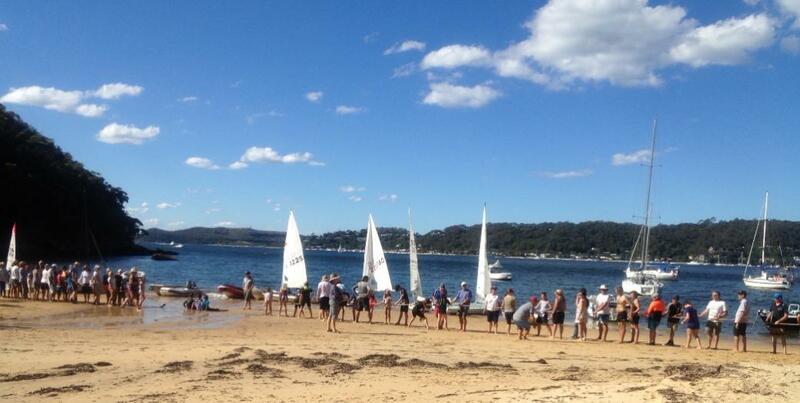 The Bayview Yacht Racing Association (BYRA) is a sailing club based on Pittwater. We specialise in dinghy sailing and offer learn to sail courses and racing for Lasers, Spirals, Flying Elevens, Manly Juniors, Optimists and other classes. We also offer twilight racing on Pittwater for keel boats. The House of Representatives Standing Committee on the Environment and Energy has commenced an inquiry into the management and use of Commonwealth environmental water. The inquiry will examine the role of Commonwealth Environmental Water Holder in determining how environmental water should be used, and also consider how the impact of environmental watering is monitored and evaluated. The Commonwealth Environmental Water Holder is an independent statutory position established to manage Commonwealth environmental water for the purpose of protecting or restoring environmental assets. Since its establishment, the Commonwealth Environmental Water Holder has become the largest single holder of water entitlements in the Murray-Darling Basin. The Chair of the Committee, Mr Andrew Broad MP, said the inquiry is an opportunity to understand how environmental water has been managed to date and to identify opportunities to improve the use of environmental water into the future. “Rivers, floodplains, and wetlands are cornerstones of the Australian environment and support economic activity in regional communities across the country. Environmental water has an important role in ensuring that Australia’s river systems are sustained in the long term,” Mr Broad said. to achieve genuine long-term environmental outcomes,” Mr Broad said. “The Committee is not inquiring into the broader Murray–Darling Basin Plan, and we are not looking to duplicate the work already underway in this area. Our focus is on Commonwealth environmental water,” Mr Broad said. The Deputy Chair of the Committee, Mr Pat Conroy MP, explained the Committee would also seek to ensure that environmental water is used efficiently. efficiently and for the purpose for which it was acquired,” Mr Conroy said. The Committee will accept written submissions, addressing one or more of the terms of reference, until Thursday, 12 April 2018. Further information about the inquiry, including the terms of reference, is available on the inquiry webpage. Information about how to make a submission to an inquiry can be obtained from the Parliament of Australia webpage. The Committee will be conducting public hearings and site inspections to gather evidence from stakeholders. Submissions are invited until Thursday 12 April 2018. The Coalition Government has announced a Productivity Commission inquiry into the effectiveness and implementation of the Basin Plan and water resource plans. The Basin Plan supports the integrated management of water resources in the Murray-Darling Basin to optimise social, economic and environmental outcomes. This inquiry will fulfil the statutory requirement for the first of the Commission’s five-yearly assessments of the effectiveness of the Basin Plan and water resources plans as required by the Water Act 2007. The Commission is due to report to Government by 31 December 2018. Public consultation will be undertaken as part of the inquiryand the Government encourages all interested parties to participate. Further information and the terms of reference are available on the Commission's website. There are many versions of Charlie Puth's song 'One Call Away', being used to tribute Law Enforcement Agencies around the World. This is the first one within Australia using his song, first published in 2016. Minister for Roads, Maritime and Freight Melinda Pavey, alongside member for the North Shore Felicity Wilson, today announced the commencement of work to install lifts on the Sydney Harbour Bridge at The Rocks and Kirribilli. Mrs Pavey said the NSW Government fast tracked $5 million last financial year to finalise project planning and ensure that one of the world’s most iconic pieces of infrastructure is more accessible for people with a disability, who use prams or who have difficulty climbing stairs. “With more than 3,000 pedestrians making their way across the bridge each day, the NSW Government is investing in improvements so that the bridge is open for everyone,” Mrs Pavey said. “These new lifts are fantastic news for the thousands of pedestrians who cannot currently access this amazing bridge. Ms Wilson said the 61 steps on Broughton Street at Kirribilli and 64 steps at Cumberland Street in The Rocks could be the difference between people experiencing the Sydney Harbour Bridge first-hand or only from a distance. “The view from the bridge is spectacular and I’m really pleased that this work means that soon everyone will be able to experience it from the deck of the bridge,” Ms Wilson said. Initial work to build the lifts will include setting up a site compound, removing part of a City of Sydney building at 7 Cumberland Street at The Rocks and landscaping the area. Researchers from UNSW and Harvard have identified that replacing two naturally occurring molecules can reverse the ageing process of blood vessels in mice, boosting the animals' physical endurance. Researchers found that two molecules could replicate the benefits of exercise, a finding that could lead to better athletic performance and improved mobility in the elderly. Illustration: Kevin Krull. Researchers from UNSW and Harvard Medical School have discovered that replacing two naturally occurring molecules in the body could reverse symptoms of ageing, potentially influencing how the body responds to and performs exercise. In a ground-breaking paper published in Cell, researchers found that a decline in the blood flow to tissues and organs with age can be reversed by restoring molecules that improved exercise capacity and physical endurance in mice. The researchers found that the two molecules could replicate the benefits of exercise, a finding that could lead to better athletic performance, improved mobility in the elderly and the prevention of ageing-associated diseases like cardiac arrest, stroke, liver failure and dementia. For the first time, the study showed that as levels of the metabolite NAD+ decline with age, the body’s capacity to exercise decreases because of fewer blood vessels and reduced blood flow. By treating mice with the NAD+ booster NMN and increasing levels of hydrogen sulphide, physical endurance was extended in mice by over 60%. This was the case in both young and old mice. Senior author Dr David Sinclair, head of laboratories at Harvard Medical School Boston and Professor at UNSW School of Medical Sciences, says the study showed why the endothelial cells, the cells that line the blood vessels, are the main culprit in ageing and the likely reason we feel tired and have less energy as we age. “We become weaker and less fit after 50, and eventually succumb to diseases of ageing,” says Dr Sinclair. “Remarkably, by feeding mice NMN and H2S it restores NAD+ levels in endothelial cells and makes them believe they are young and exercised. The scientists identified that this mechanism is due to a restoration of capillary formation in muscle by stimulating the activity of the protein SIRT1, a key regulator of blood vessel formation. Lead author Dr Abhirup Das, from UNSW’s School of Medical Sciences and a visiting scientist at Harvard Medical School, emphasises the significant effect NMN and H2S could have on frailty, circulation and the capacity to run. “H2S alone has some anti-ageing properties but the two combined have a synergistic relationship that helped mice to run at least 50-60% further,” says Dr Das. If these findings translate from mouse to human, we could have a revolutionary impact on the quality of life of older people. “Age plays a critical role in the links between blood vessels and muscle, and points to a loss of NAD+ and SIRT1 as the reason people lose the capacity to exercise as they age. “It has significant impact on frailty because one of the main reasons for frailty is reduced blood flow that affects every part of our body. And reduced muscle function makes us weak. Our bodies already make NAD+ in our cells, but after 50 its levels drop dramatically. Exercise is a way to prevent decline in blood flow but these findings show that by restoring the levels of NAD+ in mice equivalent to 60-year-old humans, we can get the same benefits of exercise,” says Dr Das. In a paper published in Science in 2017, Dr Sinclair identified that the metabolite NAD+, which is naturally present in every cell of our body, has a key role as a regulator in protein-to-protein interactions that control DNA repair. Treating old mice with NMN improved their cells’ ability to repair DNA. Dr Sinclair and Dr Lindsay Wu, co-Head of the Laboratory for Ageing Research at UNSW, have been working for five years to make NAD+ boosters into therapeutic agents with their companies MetroBiotech NSW and MetroBiotech International. Human trials with a NAD+ booster called MIB-626 were completed in Boston in 2017, with the second phase predicted to begin later this year. The goal is to work towards developing NMN-based drugs that mimic the benefits of exercise – increasing blood flow and oxygenation of muscles. “This new study adds to the body of work showing that the restoration of NAD+ in mammals can delay and reverse many of the effects of ageing. NAD+ boosters, particularly when combined with H2S, are some of the most promising molecules in medical research today,” says Dr Sinclair. This work was funded by a grant from the NHMRC of Australia to Dr Wu and Dr Sinclair. Dr David Sinclair sits on the fiduciary board, and/or has an equity interest in EdenRoc Sciences, ArcBio, Segterra, Life Biosciences, Metro International Biotech, Liberty Biosecurity, Animal Biosciences, Senolytic Therapeutics, Spotlight Biosciences and Continuum Biosciences. Lindsay Wu has an equity interest in EdenRoc Sciences, Metro Biotech, Liberty Biosecurity, Life Biosciences, Jumpstart Fertility, Continuum Biosciences, Senolytic Therapeutics and Intravital. Researchers at Griffith University working with Australia's Commonwealth Scientific and Industrial Research Organisation (CSIRO) have unveiled a stunningly accurate technique for scientific measurements which uses a single atom as the sensor, with sensitivity down to 100 zeptoNewtons. Using highly miniaturised segmented-style Fresnel lenses -- the same design used in lighthouses for more than a century -- which enable exceptionally high-quality images of a single atom, the scientists have been able to detect position displacements with nanometre precision in three dimensions. "Our atom is missing one electron, so it's very sensitive to electrical fields. By measuring the displacement, we've built a very sensitive tool for measuring electrical forces." Dr Erik Streed, of the Centre for Quantum Dynamics, explained. "100 zeptoNewtons is a very small force. That's about the same as the force of gravity between a person in Brisbane and a person in Canberra. It can be used to investigate what's occurring on surfaces, which will help miniaturise ion trap type quantum computers and other quantum devices." Griffith researchers have been pioneering the application of such lenses in quantum physics since 2011, but this is the first time they have been used to achieve such high levels of accuracy in sensing the forces influencing a particular atom. By intentionally moving their optics slightly out of focus, the researchers were able to measure displacements in all three dimensions, with the third direction determined by if the atom was shifting back into focus or further out of focus. Along with the research's applications for fundamental physics of magnetic, atomic, quantum and surface phenomena, Dr Streed is also working as part of Griffith's Institute for Glycomics to adapt these sorts of quantum technologies for medical and biological research. "With the Institute for Glycomics I'm also interested in developing this into a tool to measure the electrical fields outside a single isolated biomolecule, like the dipole moment, as a new way to help understand how they behave," he said. The heightened accuracy of the technique is precisely due to the use of a solo atom as a 'probe' in obtaining these measurements. Previous techniques similar to this used many atoms as the electric force sensor and were limited to only one dimension. This research was supported financially by the Australian Research Council, the Commonwealth Scientific and Industrial Research Organisation (CSIRO) Manufacturing facility at Pullenvale, Queensland, Griffith University, and the Australian Government Research Training Program Scholarship. Grants between $25,000 and $100,000 are on offer to support women in the workforce. The Investing in Women program funds organisations to develop and implement projects that support economic opportunity, participation, empowerment and leadership. Minister for Women Tanya Davies said the NSW Government wants to further support gender equality in all industries and at every level. Eligible organisations are encouraged to apply by 22 April 2018. UNSW Sydney has paid tribute to highly respected Scientia Professor David Cooper, AO after his death at the age of 68. Professor David Cooper was the inaugural Director of UNSW’s Kirby Institute, a leading global research institute dedicated to the prevention, treatment and cure of infectious diseases. He made significant contributions to the University and broader society, with a 30-year career dedicated to research into HIV epidemiology, treatment and prevention that has saved countless lives in Australia and globally. Internationally, Professor Cooper is recognised as a leading HIV clinician and clinical investigator who authored more than 800 published scientific papers. He was among the first responders when the HIV epidemic reached Australia in the early 1980s and was pivotal in the ongoing fight against HIV. In the mid-1980s, Professor Cooper’s research led to the first description of the seroconversion illness which accompanies initial HIV infection in many people. He then took a leading role in most of the key trials that ultimately led to the optimal use of life-saving combination treatments that are now widely available to people with HIV all over the world. “David’s importance as a clinician scientist in the field of infectious diseases cannot be overstated,” the Acting Dean of UNSW Medicine, Professor Tony Kelleher, said. “He contributed to the development of every therapeutic drug used in HIV. All over the world he was respected as a leader, and at home he was an insightful colleague and unparalleled mentor,” continued Professor Kelleher, who is also the head of the Kirby Institute’s Immunovirology and Pathogenesis Program. In 2003, Professor Cooper was made Officer in the General Division of the Order of Australia (AO) for “service to medicine as a clinician, researcher and leading contributor in the field of HIV/AIDS research and to the development of new treatment approaches”. One of the world's oldest and best known general medical journals, The Lancet, described Professor Cooper as “Australia's fighter against HIV and discrimination”, and noted that “Cooper’s work has helped transform Australia’s research landscape”. His quest to remove the stigma surrounding AIDS patients and to share his knowledge on HIV and other infectious diseases to disadvantaged communities symbolise his devotion to the greater good. Professor Cooper was working right up to the time of his illness, running large-scale international clinical trials to improve HIV treatment, building research capacity in Indonesia and Myanmar, and leading the trial of pre-exposure prophylaxis to eliminate HIV transmission in NSW. UNSW Sydney President and Vice-Chancellor Professor Ian Jacobs said: “David was a great man who will be deeply missed by the UNSW community. He led the Kirby Institute for over 30 years and in that capacity had a key role in the response nationally and globally to HIV and AIDS. “David will forever remain a hero to the Darlinghurst gay community where his work on finding an effective treatment for HIV began in earnest. That tireless devotion to his local community had a global impact on the understanding of the AIDS virus and on its containment, worldwide. “But equally important was the genuine compassion which drove so much of David’s career. His quest to remove the stigma surrounding AIDS patients and to share his knowledge on HIV and other infectious diseases to disadvantaged communities symbolise his devotion to the greater good. “The Kirby Institute, UNSW, and indeed all who have benefited from his life-saving work, have been fortunate to have the brilliant mind and boundless passion of David Cooper at our service. He has left a void but has also left a solid legacy upon which the Kirby Institute will continue to build. Professor Cooper's full biography can be viewed here and a full obituary viewed here. A scientific paper has revealed that some nutrients found in food may help reduce the symptoms of psychotic illness, when used in the early stages of treatment. The systematic review, led by Dr Firth, honorary Research Fellow at The University of Manchester and Research Fellow at NICM Health Research Institute, Western Sydney University an examined if nutrient supplementation could provide effective 'add on' treatment for young people with psychosis. The team brought together data from eight independent clinical trials of nutrient supplementation in 457 young people in the early stages of psychotic illness, such as schizophrenia. The review is published in Early Intervention in Psychiatry. Researchers found that certain nutrient supplements, used alongside standard treatment, may improve mental health in young people with psychosis more than standard treatment alone. The study by Firth and colleagues is the first evaluation of nutrient supplementation trials in 'first-episode psychosis' (FEP). Dr Firth said "Nutrient supplementation in the treatment of mental illness is something which can be surrounded by both cynicism and 'hype'. "We conducted this review just to see if there is any 'real evidence' if such nutrients can actually help young people with psychosis. "Certainly, there is early indication that certain nutrients may be beneficial, not to replace standard treatment, but as an 'add-on' treatment for some patients"
One nutrient reviewed was Taurine, an amino-acid found in foods such as shellfish and turkey. A clinical trial conducted in Melbourne in 121 young patients with psychosis found that 4 grams of Taurine per day reduced psychotic symptoms within just 12 weeks. Certain antioxidant supplements, such as n-acetyl cysteine and vitamin C, may also be effective -- particularly for patients with high levels of 'oxidative stress'. Studies on omega-3 supplements showed that although these appear to improve brain health in young people with psychosis, the evidence for actually reducing psychotic symptoms is conflicting. "We have to be careful to replicate the results of these initial studies before jumping to firm conclusions" Dr Firth said. Now, the team are aiming to do just that: launching a new clinical trial in which all of the potentially beneficial nutrients are combined within a single supplement, and provided to young people with psychosis. He added: "Individual nutrients appear to have moderate effects on mental health, at best. "A combined nutrient intervention, explicitly designed from the evidence-base in psychosis, may therefore confer larger and more beneficial effects for young people with this condition. "We will be testing this in Sydney, Australia in 2018, to learn more about the potential role of nutrition in mental health for the future." We are pretty famous for our scones, but the real reason we came into existence was to stand up for women and children. The scholarship is possible thanks to a bequest to the CWA from late member Edna Winifred Blackman. In her honour, it will be named the Country Women's Association of NSW and Edna Winifred Blackman Postgraduate Research Scholarship. His owner calls him “Geoffrey”, though his stud name is “Bungendore Koonibba F66” and he is one of the first animals to arrive on site ahead of the 2018 Sydney Royal Easter Show at Sydney Showground. Geoffrey is one of the prized boars from the highly respected Black Label Berkshire operation based at Beverley in Western Australia and has been sent across the country in search of Porcine glory at the Sydney Royal Easter Show. This Saturday Geoffrey will be up against 120 animals for the honour of Best Pig in Show. 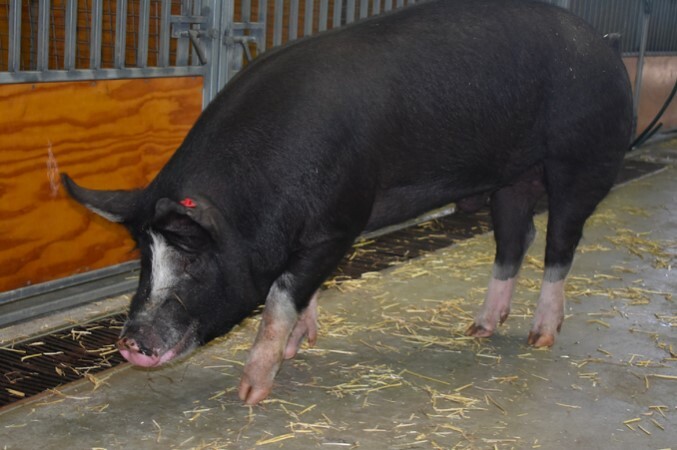 Geoffrey has travelled 56 hours across the country accompanied by a truckload of beef cattle and within minutes of arrival at Sydney Showground this afternoon was drinking and laying in his new straw bed, the very first pig to arrive ahead of the competition. Eight-and-a-half month old Geoffrey has been described by his owner Linton Batt as one of the most docile and well-natured pigs he has dealt with and who relishes his diet of apples, yoghurt and fresh eggs as treats when he is home in WA. At the conclusion of the Sydney Royal Easter Show Geoffrey will be transported to South Australia where he will be added to the breeding stock at the Sabor Breeding Centre in the Clare Valley. Past Chairman of the Royal Agricultural Society of NSW Pig and Goat Committee, Adrian Saines was on hand to accept Geoffrey when he was unloaded this afternoon and immediately declared him a “well structured pig who will be a strong contender for the championship”. Mr Saines says Geoffrey would have shed a few kilos on the trip from Western Australia, but he will put that back on in no time ahead of the competition this Saturday. Geoffrey typically converts about 20% of what he eats to body weight. The Pig Judging will be held from 8.30am until 4pm this Saturday, March 24th at the Pig and Goat pavilion. The 2018 Sydney Royal Easter Show runs from Friday March 23 until Tuesday April 3.